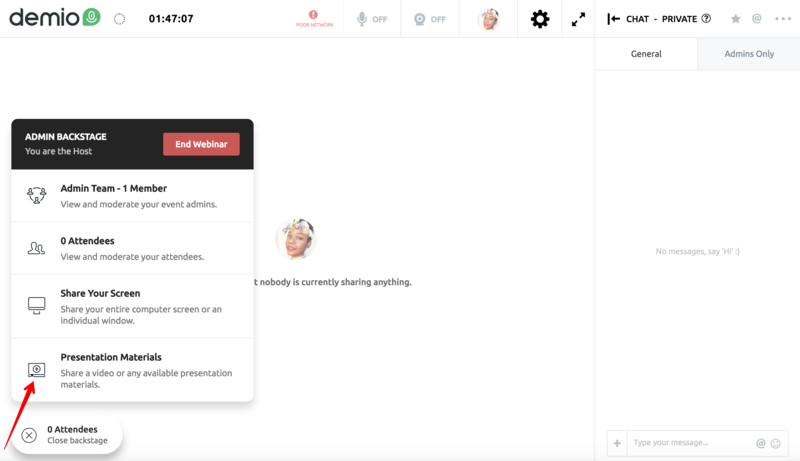 This feature will allow any Presenter to run hybrid webinars live on a date/time directly in the webinar room, or show things such as Video Testimonials and Demo Videos. 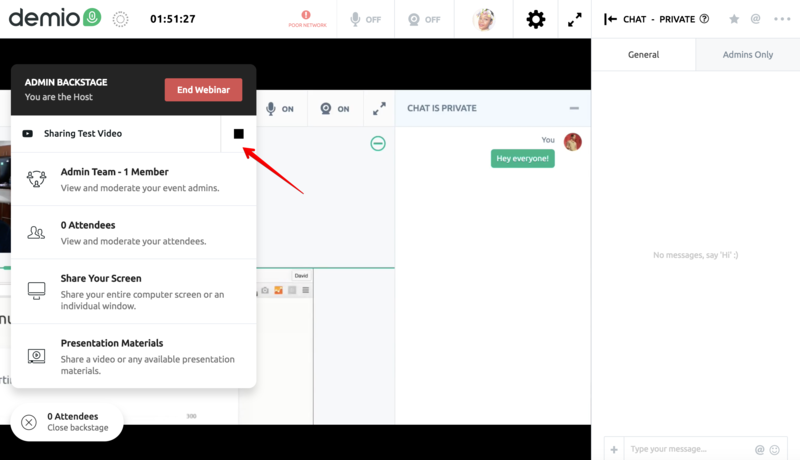 Our "Inline Video" technology was designed for a seamless transition between presentations, screen sharing, and webcams; allowing you to effortlessly play, pause, or resume a video at any time. 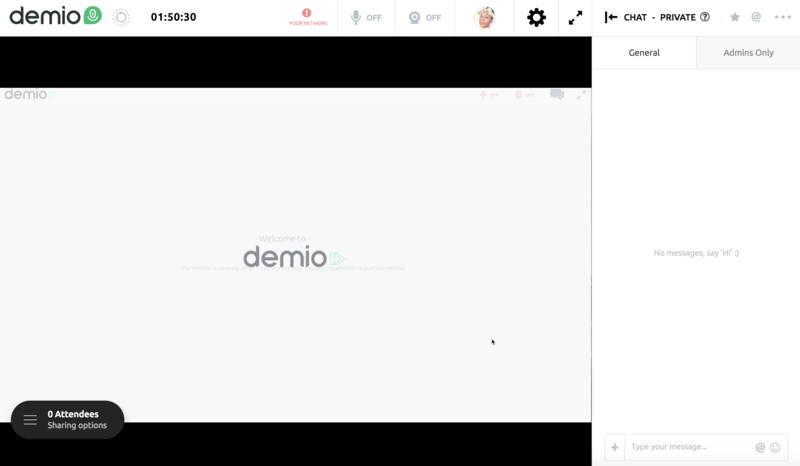 Let's take a look at how to share any Video in a webinar. 1. First, Login to your Demio account. 2. 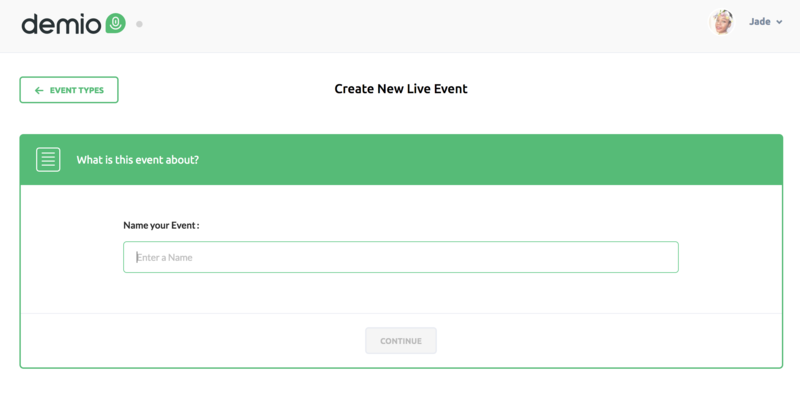 Next, click the ‘Add New Event’ button → Add all required details and click the ‘Continue’ button. 3. Click on the "Materials & Resources" Tab. 4. 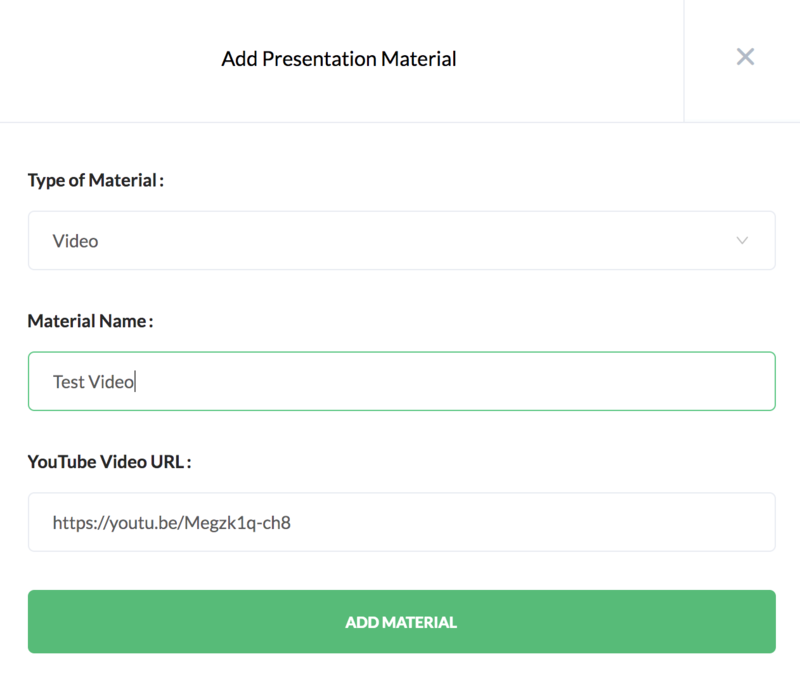 Click on the ‘Add A Material’ button → A popup will appear to add your Presentation Materials. 5. Click the 'Type of Material' dropdown and select Video → Simply add the Material name and Youtube Video URL. 6. 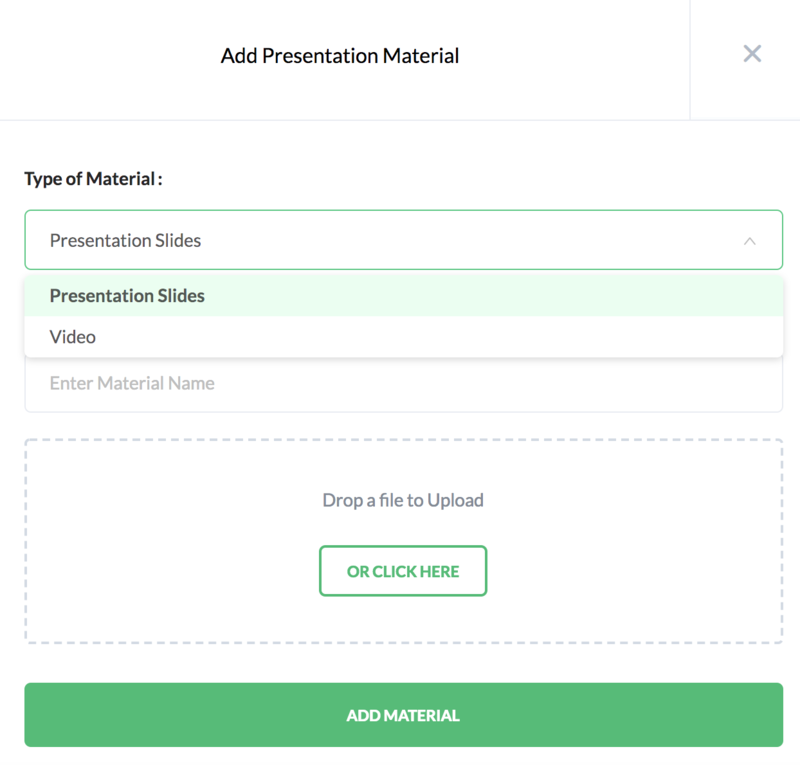 Now click the ‘Add Presentation Material’ button. 7. 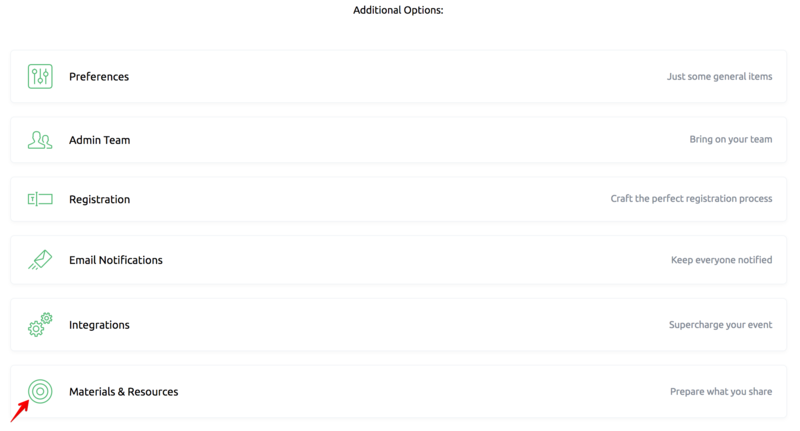 Clicking the ‘Edit Settings’ option will allow you to rename the video or change Youtube URL. Note: Added Youtube videos can also be deleted by clicking small delete icon in the lower right corner of the video. 9. Click ‘Start webinar’ when you're ready to go live. 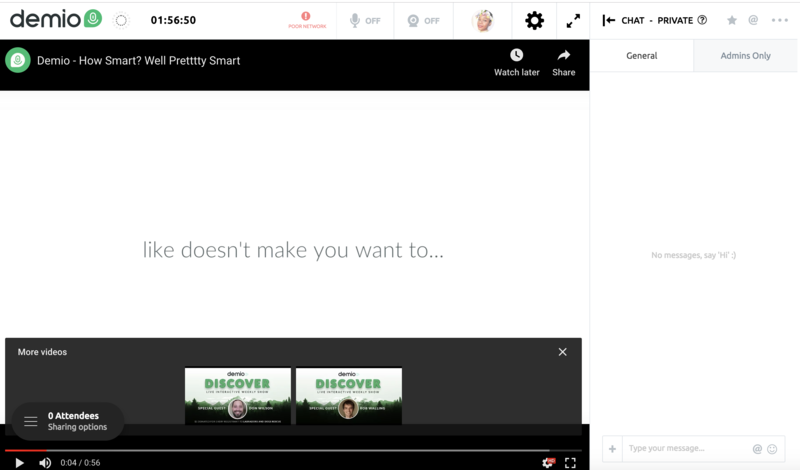 When you're ready to share your video, click ‘Presentation Materials’ at the bottom left of the screen. Then click on [Your Video Title] to begin sharing your video material. 10. Your video will now be displayed to all Attendees / Coordinators. 11. Presenters can control the video however they would like. To stop sharing the video, click the square button besides sharing [Video name] video. Note: Attendees won't see the YouTube branding (logo) or any of the video controls.